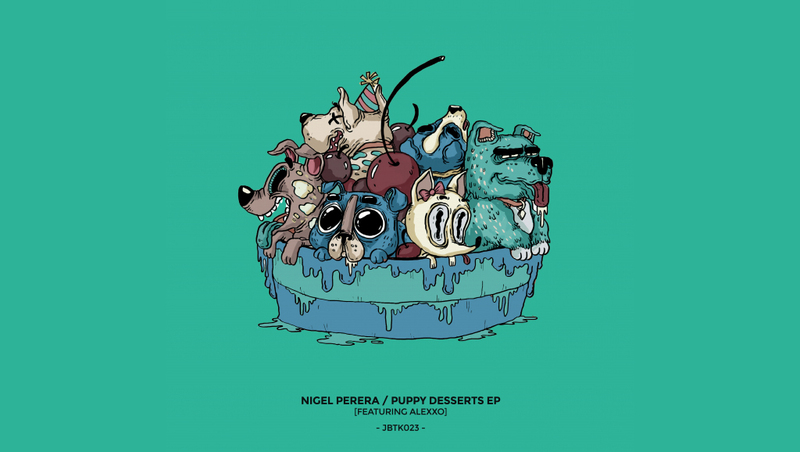 Nigel Perera returns to Jambutek with a four track EP sporting a glossy micro-house sheen. “Zika” is a standout, with its lively, echoing stabs complementing its rolling rhythm. “Space Mousse”, his collaboration with Alexxo starts with a steady, insistent beat until a glacial overture briefly swallows the track. “Nutmeg” wraps busy, multicoloured stabs in a melodic backlight, ricocheting under crystalline MRI swirls: music from the future’s past. More than just a record label, Jambutek is also a concept-driven artist-collective that plays a important role in the development of underground electronic music culture in Sri Lanka. We frequently collaborates with like-minded organizations, illustrators, film-makers, designers and other creative minds to craft high-quality release artwork (with original hand-drawn illustrations), memorable events (both large scale and intimate), as well as workshops, artist residencies, regional collaborations, heavily collectible merchandise, and above all, an honest and vibrant slice of tropical electronic dance music. The Smallest and Most Affordable Synthesizers Known To Mankind!